I’ve had the Google Nexus 7 tablet for a week now and I absolutely love it. So much so that I haven’t touch my iPad or Sony S tablet since I got it. The form factor is perfect to use in one hand – the iPad in comparison feels a bit too heave for one-hand use. The Sony S tab is perfect for one hand-use if held vertically, thanks to the wedge shape, but it feels too large to read books on. I’ve started reading Steve Job’s biography on the Nexus 7 (he would probably hate that, since he vowed to ‘destroy’ Android) using the Aldiko app. Google’s Play Books application didn’t allow me to use my own ePub files on it so Aldiko was a perfect alternative. Hopefully, Google updates the app to allow ePub files purchased from other sources. Using the Nexus 7 vertically is perfect for other uses too. For example, I have been using it to take notes at work using Evernote. The app works well on the new device – it’s easy to type on the device with both hands (buttons are large enough to not make a mistake, but small enough to touch-type). The screen is beautiful and large enough to watch videos on. Obviously, the Sony S tablet is probably the best screen out of the tablets I own – it has widescreen resolution and larger screen than the Nexus 7 (which is also widescreen). The iPad on the other had has a nice large screen, but isn’t widescreen so movies appear smaller due to letterbox. The lack of a rear camera doesn’t really bother me. To be fair, anyone taking photos with a tablet looks stupid anyway. Why would you carry a tablet for photos when your smartphone is perfectly capable of taking photos – some with better resolution that a compact camera. The front-facing camera will be useful for Skype and Google+ handouts, but I’m yet to try that out. Having no 3G / 4G connectivity is something that is missing on the device. Obviously, if it was added, the device would cost far more than £169. However, it’s not a big issue for me since I can always tether the device to my Samsumg Galaxy Nexus phone. Google should have created a separate 8GB 3G and 16GB 3G models for those that wanted to splash out a bit more. Lastly, I use MX Player for watching movies and videos on the device, since it allows the widest compatibility for videos I already own. Supporting DivX, XVid, MP4, 3GP and more. There are a few other good players out there with similar (or better) compatibility too. If you are thinking of getting a tablet, I highly recommend the Nexus 7. That being said, there have been recent rumours of a 7″ iPad too – that will probably be better in terms of tech, but also pricer too. 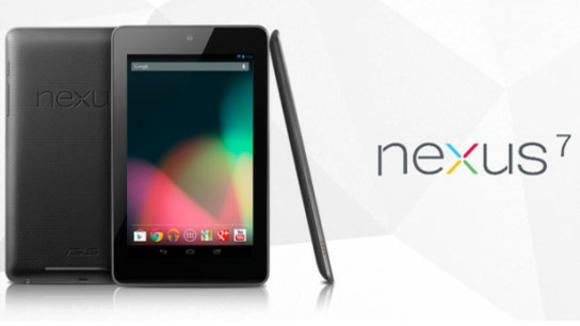 £169 for the Nexus 7 is a bargain! I’ll add any new finding to my review as I continue to use the device.